AWP Computer Services can help make sure your are using your computer(s) and the Internet in a safe and efficient way. This could include help with data back-up configuration, storing your information on the cloud (cloud computing), computer performance optimisation, data recovery, firewall configuration, Internet security, software (computer program) installation, software conflicts & troubleshooting, general technology advise and purchasing. If you are worried about your online security or you are concerned about losing your valuable personal data, such as family photos or important personal documents, please don’t hesitate to get in touch with AWP Computer Services. We will give you sensible and easy to understand advice and do our best to put your mind at rest. Call us today, or get in touch through our web site contact page and if we can answer your question straight away, we’ll get back to you as soon as we can. In recent years CCTV technology has overlapped with IT technology to provide the ability to broadcast live video images over the Internet to either a computer or mobile device. Modern wireless IP Cameras and attached recording devices are not only capable of streaming live images over the Internet they are capable of sending early warning messages to your mobile phone using either SMS or email. AWP Computer Services can supply the necessary IP Camera hardware and work on the installation and configuration. IP Cameras can be used to provide piece of mind and security for your loved ones, home, work premises or valuable possessions. 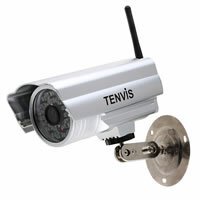 For more information please visit our Wireless IP Camera Remote Surveillance page. Ebuyer.com is one of the largest internet retailers of computer products in the UK. With over 52,000 high quality products – from laptops, desktop PCs, netbooks, tablet and PCs, you’re sure to find what you want at the right price.Ebuyer.com sells a broad range of computers including cheap laptops, desktop PCs, notebook computers and more. Regardless of whether you want a lightweight portable notebook computer to power your business on the move, a high performance gaming laptop or gaming desktop to meet the intense demands of the latest game release, or a basic home desktop PC ideal for day to day family use, Ebuyer has a computing solution for you.